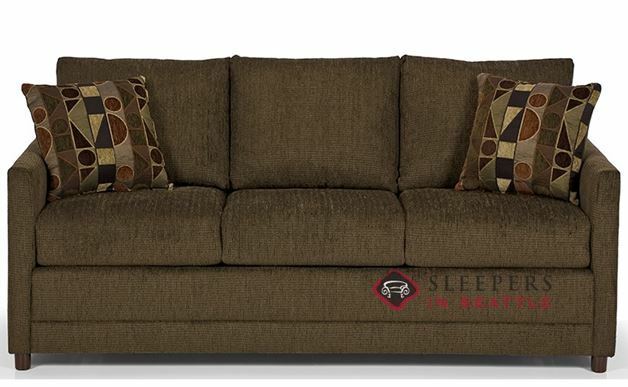 The three-seat 200 Queen Sleeper has a small profile, great for saving space in your home. It has narrow, straight arms for a very clean-lined look. Available in over 200 fabrics. Special Offer Upholsteries: any Jitterbug or Hayden. Very comfortable as a sofa and a bed. Did purchase the upgraded mattress, however, so can not speak on the basic option. We only have 67" on this wall before the door, so we literally could not have gone an inch larger. It was so hard to find a sofa bed at this size, but am very happy with this model we found. I have limited space in my guest room and this sleeper fits perfectly. It's really comfortable as a couch and I couldn't be happier. For the price, quality and comfort I would defenitely recommend the 689.
what is the comfort rating of the stanton sleeper sofa?? 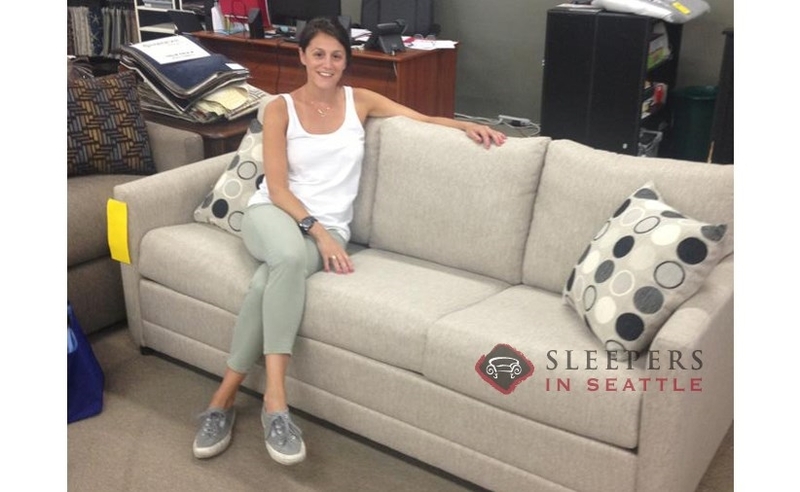 We don't currently have a number rating system for our styles in terms of comfort, however Stanton styles in particular are known for terrific comfort and quality. 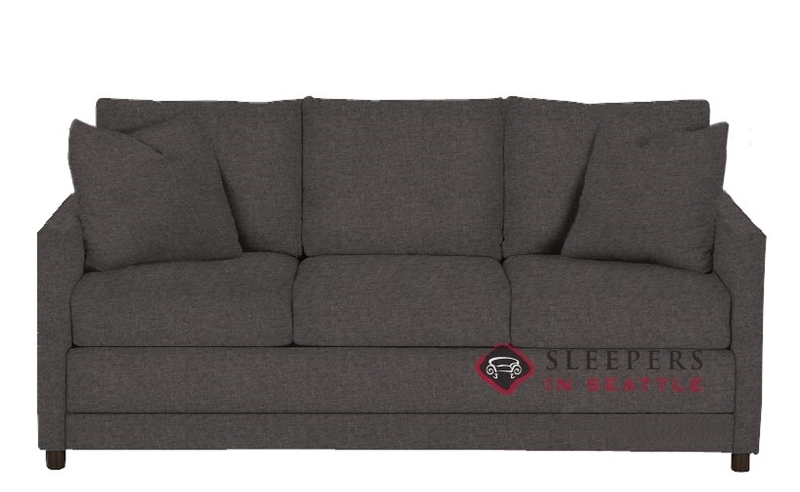 In fact, the 200-689 style was initially developed as a stationary sofa, so comfort as a couch is certainly provided; the bed was later included for convenience. 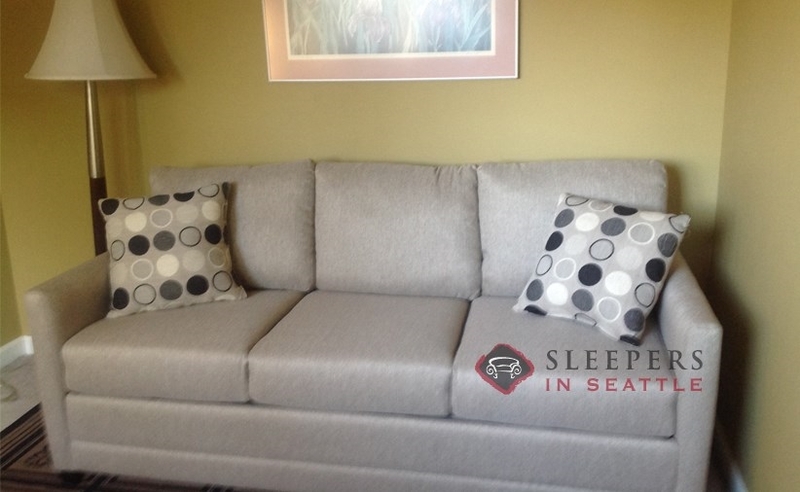 Now, the improvements made both to the sleeper mechanism and the available mattresses--this sleeper sofa truly provides a great night's sleep in addition to serving as a comfortable living room piece. 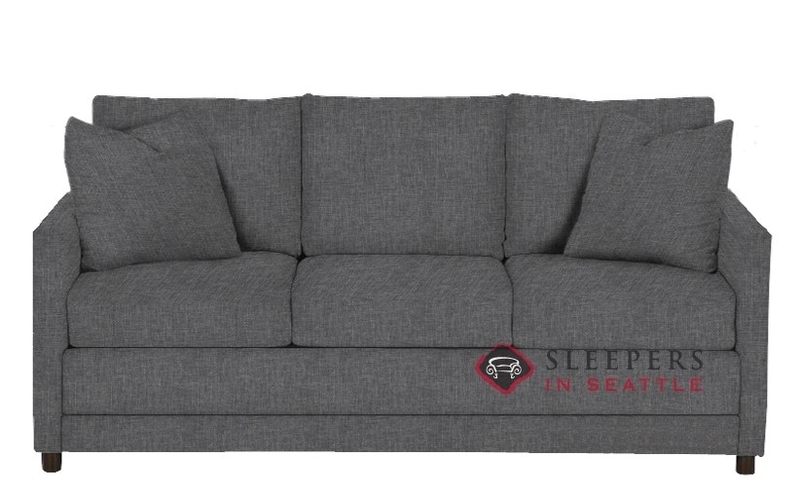 The 200 Queen Sleeper by Stanton weighs approximately 170 lbs total, including the sofa and sleeper mechanism and mattress, within. Are your products treated with a chemical flame retardant? What are the cushions made from? Can we special order natural or organic latex with no treatments? Is the fabric treated with a chemical stain resistant? Can we order without? Thanks! No, our products are not treated with a chemical flame retardant. The seats of the 200 by Stanton are with multi-layered reflex cushions, including poly fill, and wrapped in a dacron cover--all supported by a heavy gauge sinuous spring base. Neither the interior nor the fabric include any chemical treatments. 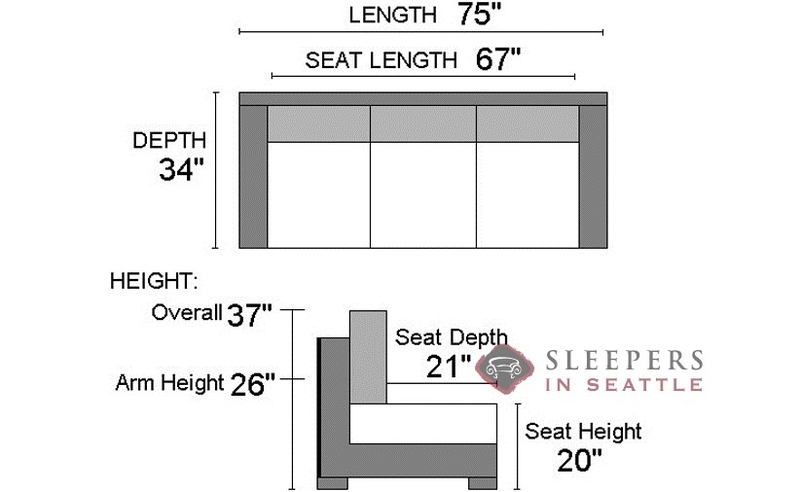 What is the length/depth of the Stanton 200 Queen sleeper sofa when the mattress is out? 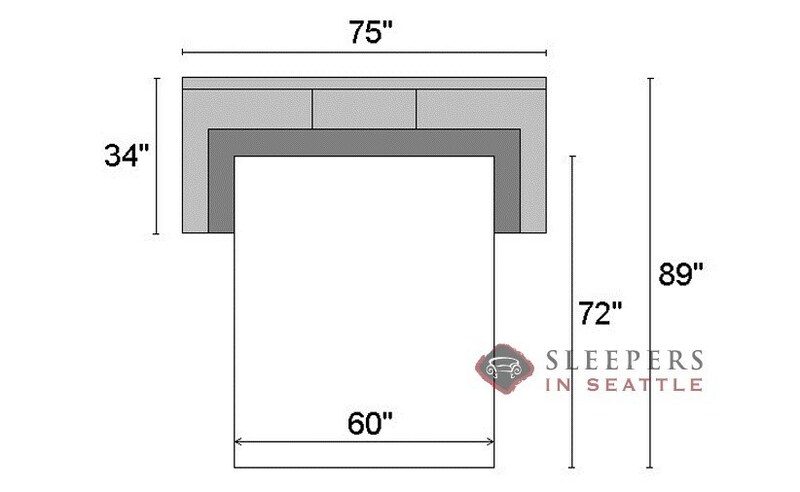 The length, from the back of the sofa, to the end of the bed, is 89" when open.